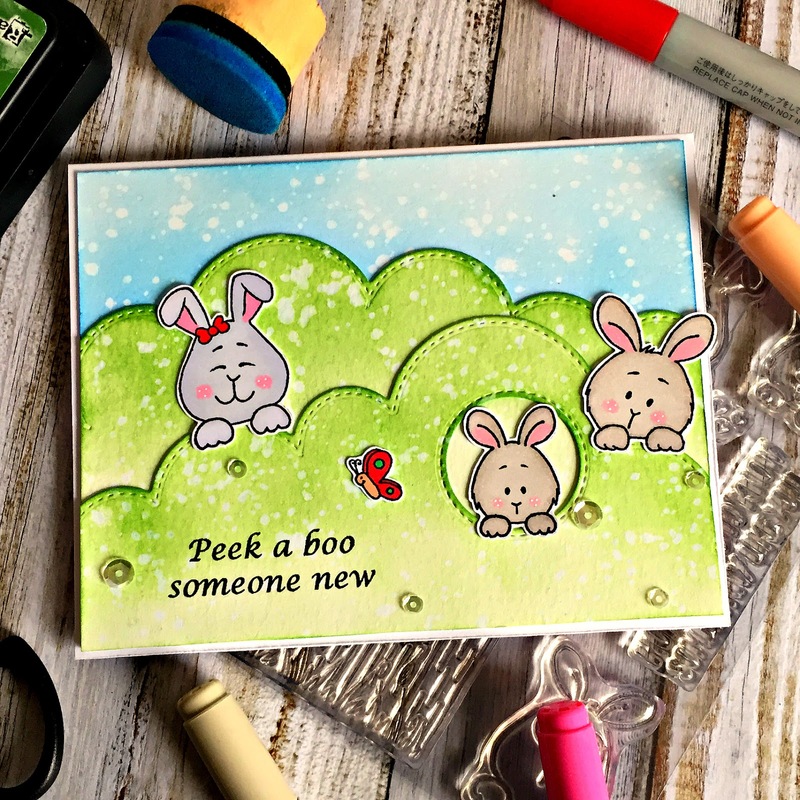 I'm Diana from Moments of Creativity and I'm back with another card featuring a very cute and recently released Hoppiness Clear Stamp Set which includes lots of super cute bunnies that are perfect for any project. Hello everyone!! 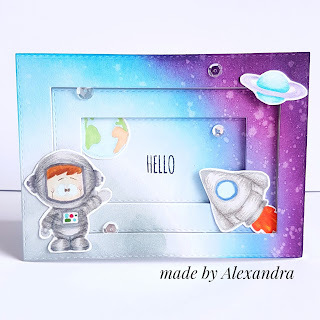 Kymona here from Kreative Kymona as a guest designer for the last time this month!! 1. Cut the card base to 4.25 by 11, scored at 5.50. 2. Cut the NYC pattern paper and a card panel to 4.25 by 5.50. 3. Adhere the patten paper to the card panel using adhesive. 4. 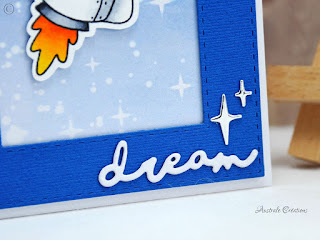 Use a scallop die to cut a hole in the center of the card base and the patten paper. 5. The the card panel and the card base up. 6. Stamp the dog from Gerda Steiner Designs What's New stamp set on to the card base. 7. Using the fuse tool and clear protectors, create a shaker pocket and add sequin. 8. 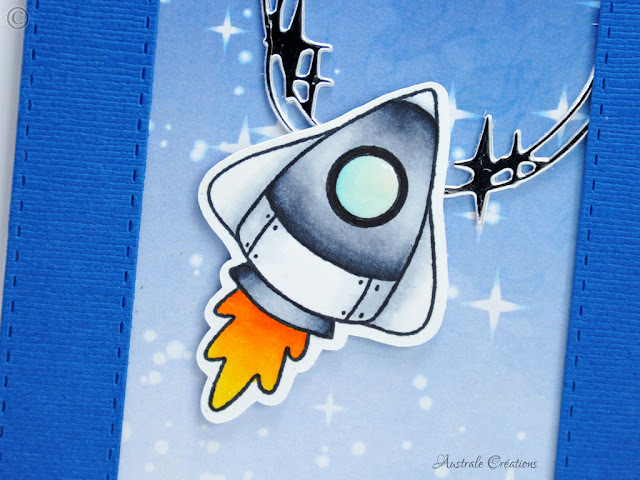 Adhere the shaker pocket to the back of the card panel with strong adhesive. 9. 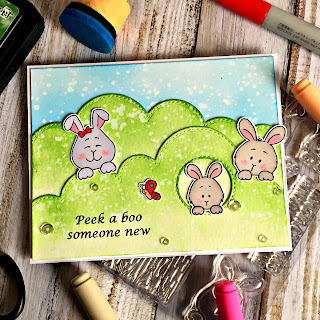 Color the stamp image in with color penciled. 10. Then adhere the card panel to the card base with adhesive. 11. 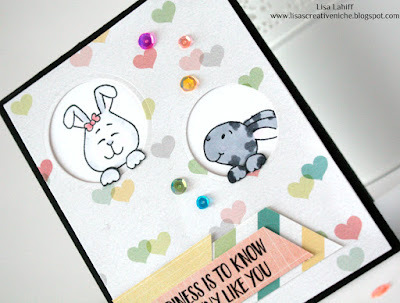 Once the card is put together, using the mini misti to stamp the sentiment on the card front twice. What do you think? Have you seen the entire stamp set? There is a cute mouse and kitty in the set. Please let me know below. I would love to hear from you. Labels: coloring pencils, dog with newspaper, NYC, What's new? This llama set is SOOO cool! Look at these two funny faces! I colored the llamas with markers. 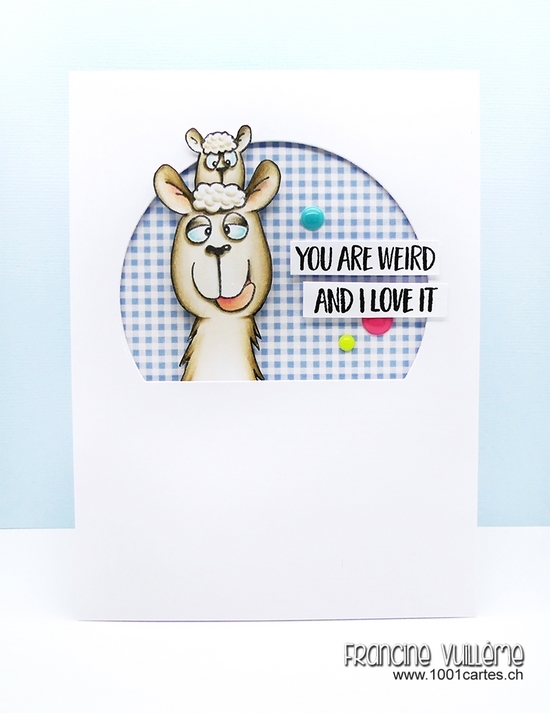 I went for a clean and simple design to make the llamas pop against the neutral background. Thanks for visiting and thank you Gerda and Macy for having me this month as a guest! My name is Francine and I live in the wonderful Three Lakes Region in Switzerland. I speak German and French from birth. Crafting is my passion! Don't forget to check out my YouTube channel for video tutorials! 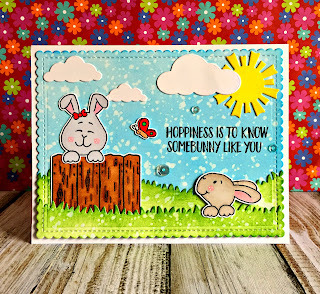 I'm Therese from www.lostinpaper.com and I am so excited to share two cards today featuring the Buckets of Love stamp set. 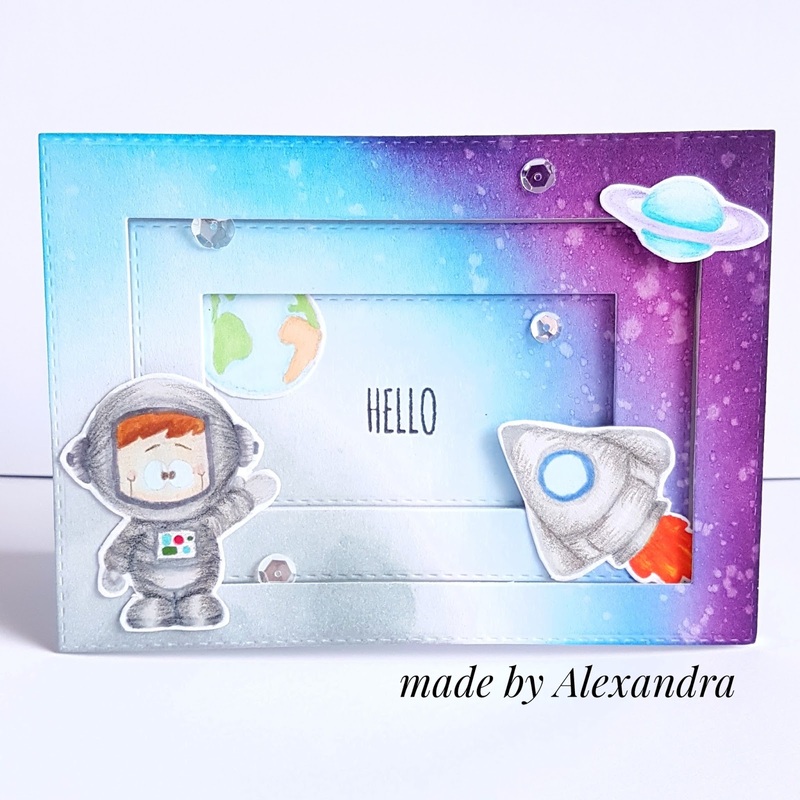 My first design doesn't actually have any buckets, but it does show you how to stretch your stamps and enjoy more from this fabulous set. I filmed as I created so you could watch the process. Scroll down as there is a video for this card too! 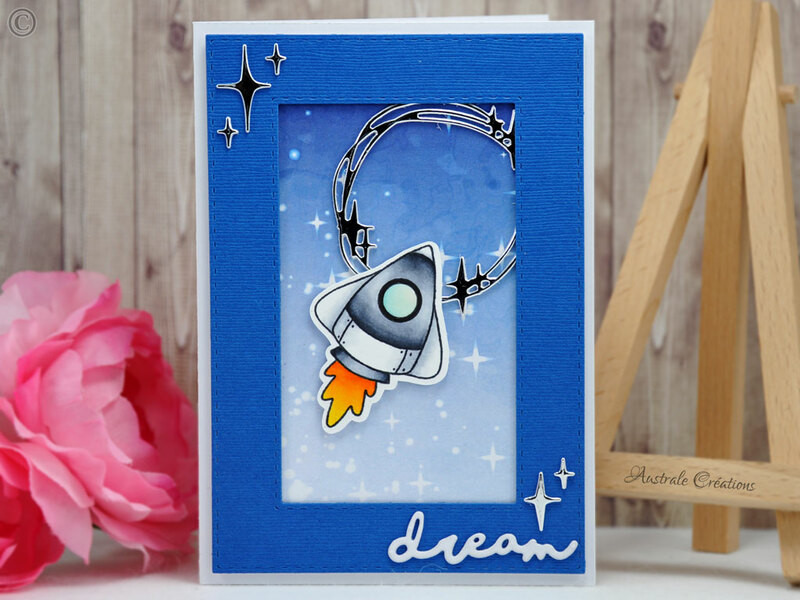 It's Céline from Australe Créations, I'm so happy to find you today for an another guest design post ! 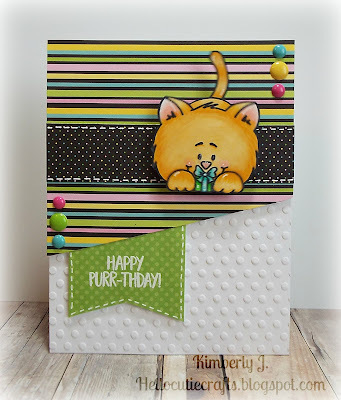 For my third card made with the Buckets of love stamp set I choose the adorable kitty in a bucket, he looks so happy ! 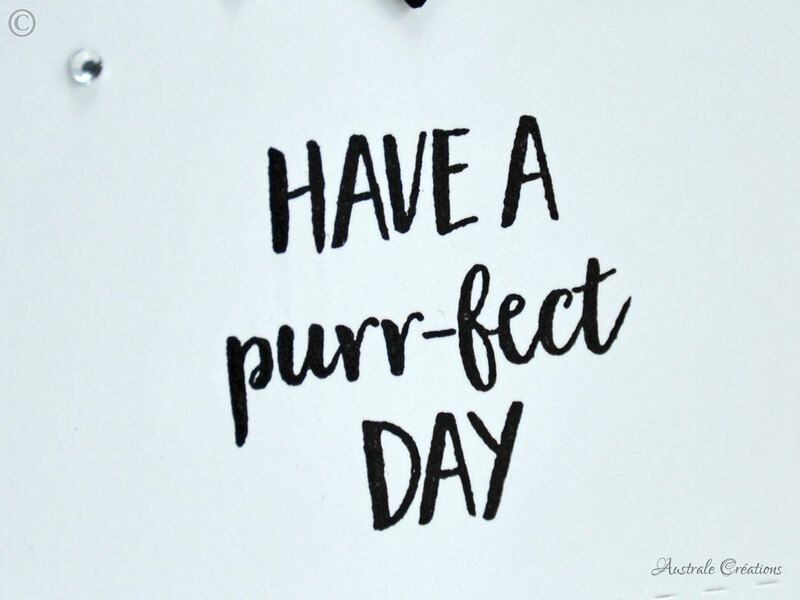 I wish you a purrrfect Day ! Hi everyone! Francine from www.1001cartes.ch here! 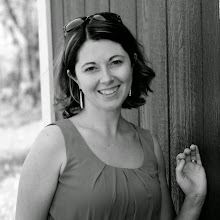 I’m thrilled to be guesting again for Gerda Steiner Designs. Since 2014, I join Gerda for a few extra spots each year and I enjoy it so much! Gerda’s stamps are extra sweet, aren’t they? Oh my… this set is the cutest! 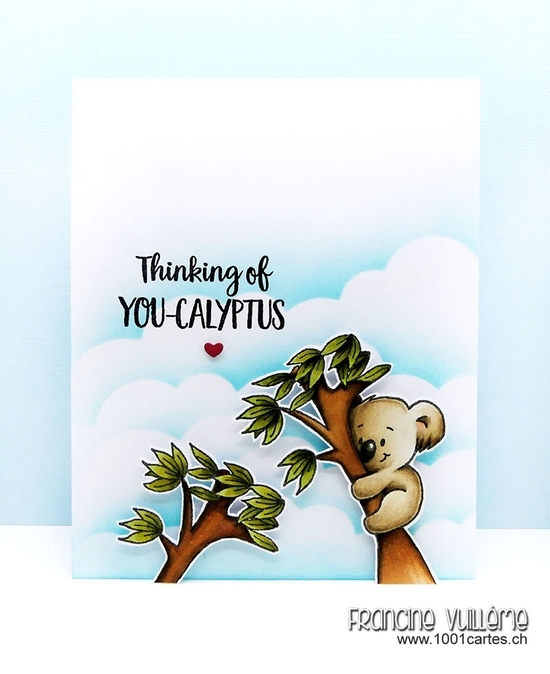 I couldn’t resist doing a card with these sweet koalas. I went for a clean and simple scene. I first created a sky background on a top-folded card base. I sponged blue Distress ink over a cloud border that I used as a mask. I stamped the koala hanging in the Eucalyptus on white cardstock in black ink. I then masked the koala and stamped the image again. I drew the missing lines with a black pen. 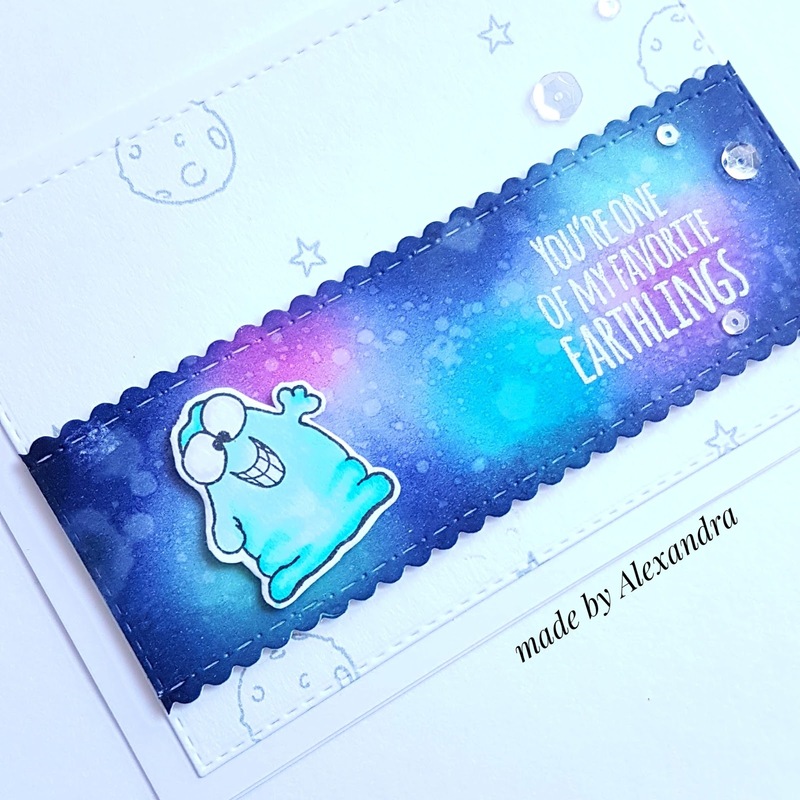 It’s a perfect way to stretch a stamp and get two images from one stamp. 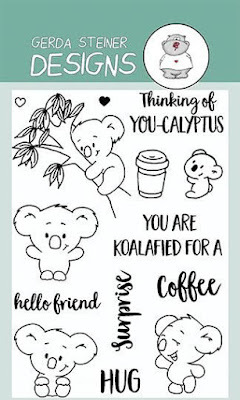 So there I had an Eucalyptus with a koala and one without koala. I went ahead and colored the images and cut them out with scissors. 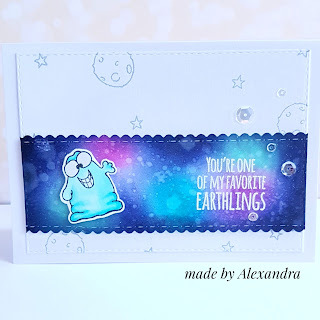 I stamped the sentiment in black ink on top of the clouds and adhered the images with foam pads to the card base for more dimension. I trimmed the excess that extended over the sides of the panel. To finish off the card, I glued a tiny red heart below the sentiment. 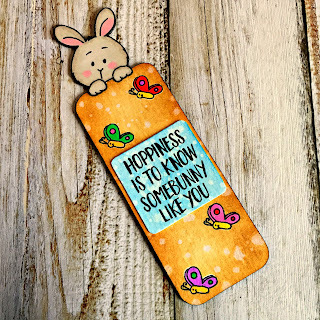 Yes... a tiny (red) heart is always somewhere on my cards LOL! Hello everyone!! What's new? 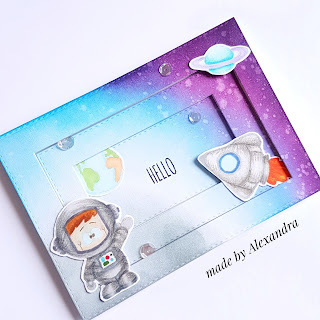 Kymona here from Kreative Kymona as a guest designer today!! It's been awhile since I've guest designed so I'm so exited to be here with all of you today!! What is a mouse with a newspaper without the presence of NYC!! That is something you would see in my city, LOL!!!! 1. Cut the base card to 3.5 by 11 scored at 5.50. 2. Cut the NYC pattern paper to 3.5 by 5.5. 3. Adhere the patten paper to the card base using adhesive. 4. 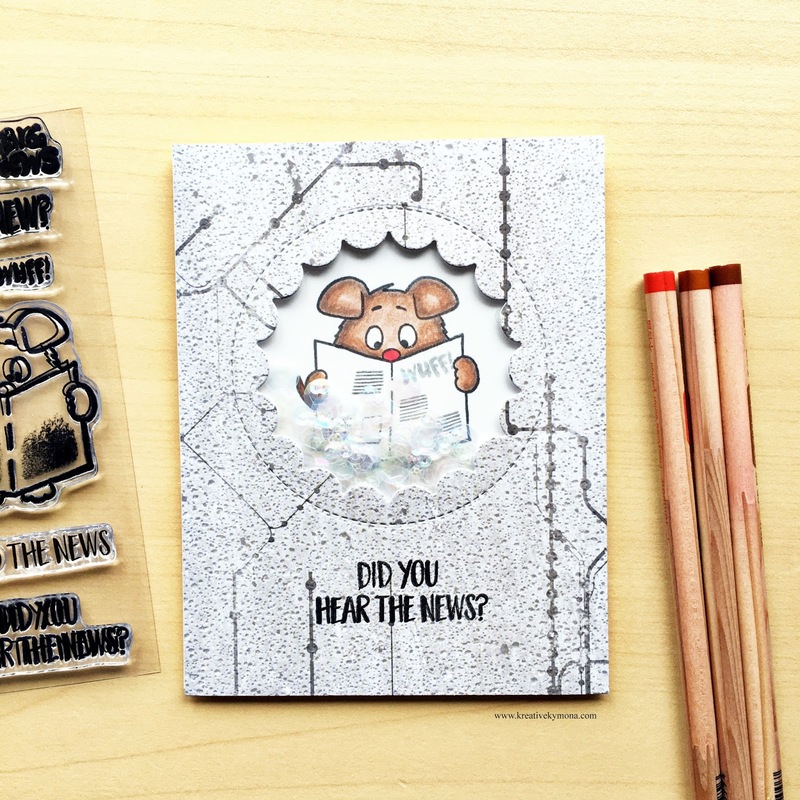 Stamp the mouse and sentiment from Gerda Steiner Designs What's New stamp set onto a piece of white cardstock. 5. Color the image using Copic Marker: C3, C5, YR24, Y26, RV21. 6. Die cute the mouse and sentiment out using a stitched rectangle die. 7. Adhere the stitched panel to the card base using foam dots. What do you think? 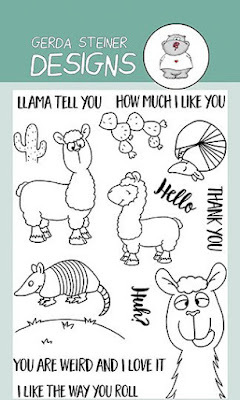 Have you seen the entire stamp set? There is a cute puppy and kitty in the set. 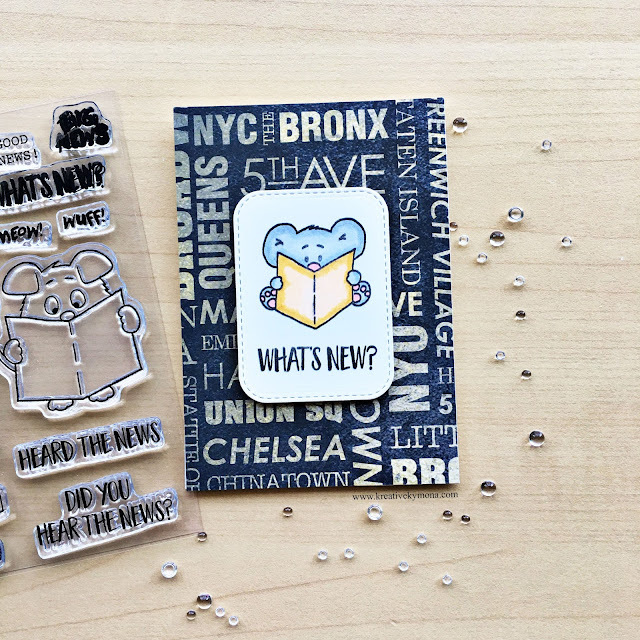 Labels: copic coloring, mouse, newspaper, NYC, What's new? Its Hazel here today as a Guest Designer. 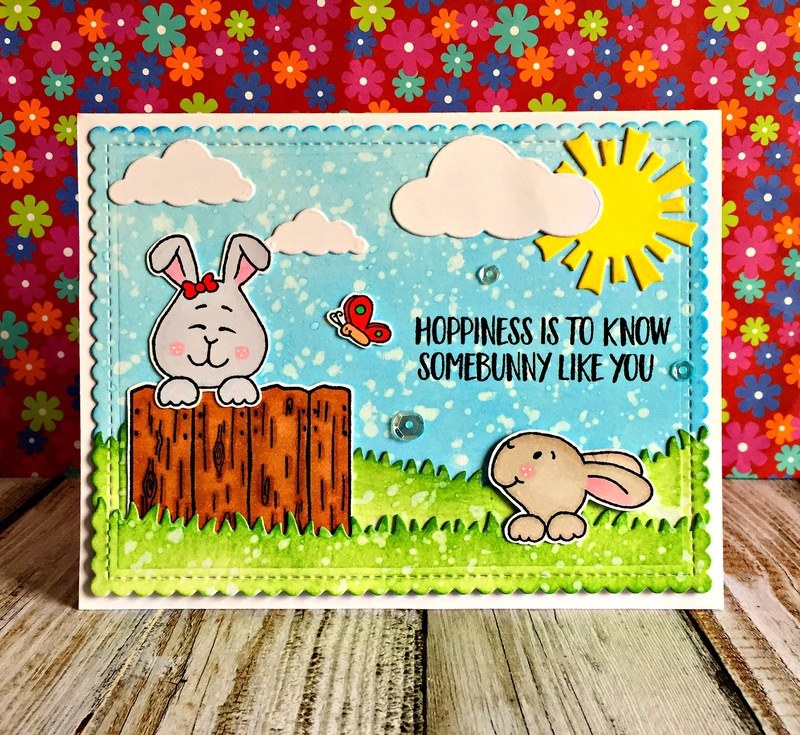 Im here to share with you a couple of creations from the New Hoppiness Stamp Set available now in the Gerda Steiner Store. 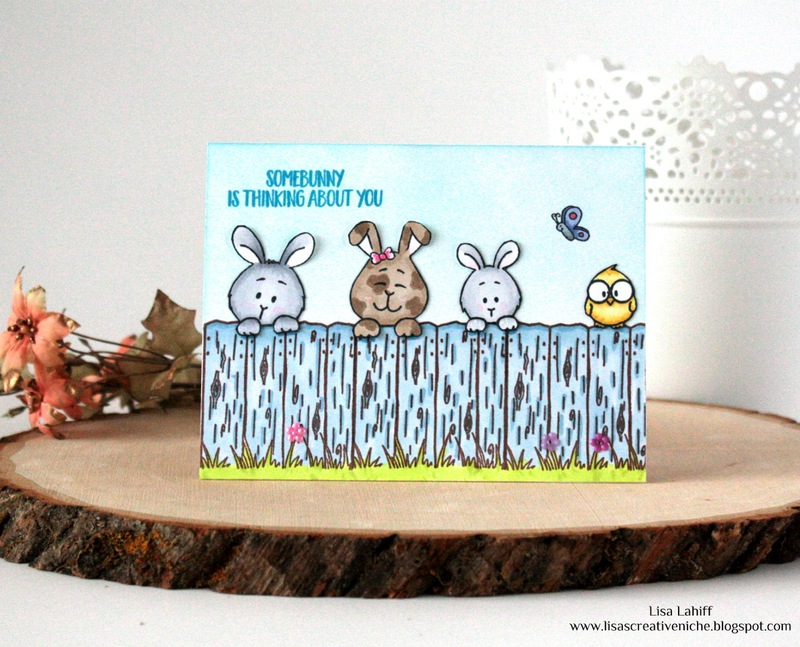 The stamp set is a 6 x 4 size one with lots of cute bunnies, a fence background and a couple of their friends with 2 Sentiment Stamps as well. It inks up beautifully and Ireally enjoyed playing with them. 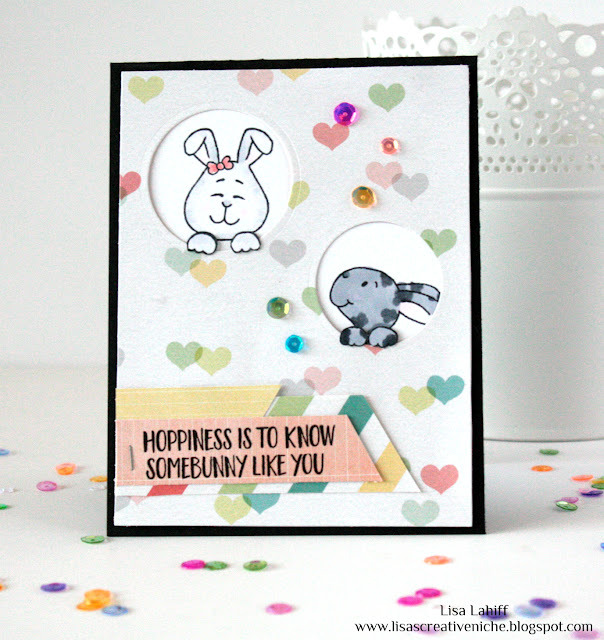 My first creation today is a cute clean and simple card with a handmade background. 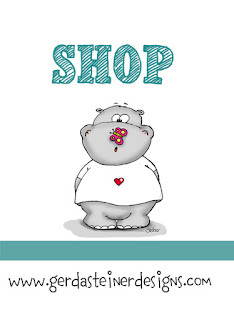 I think it would be a fabby wee valentines card or just to say Im thinking of you. 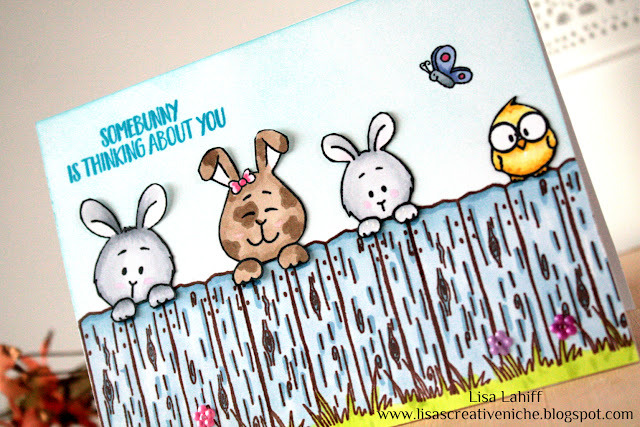 The items used from the stamp set here are the bunnies, the fence and the sentiment. 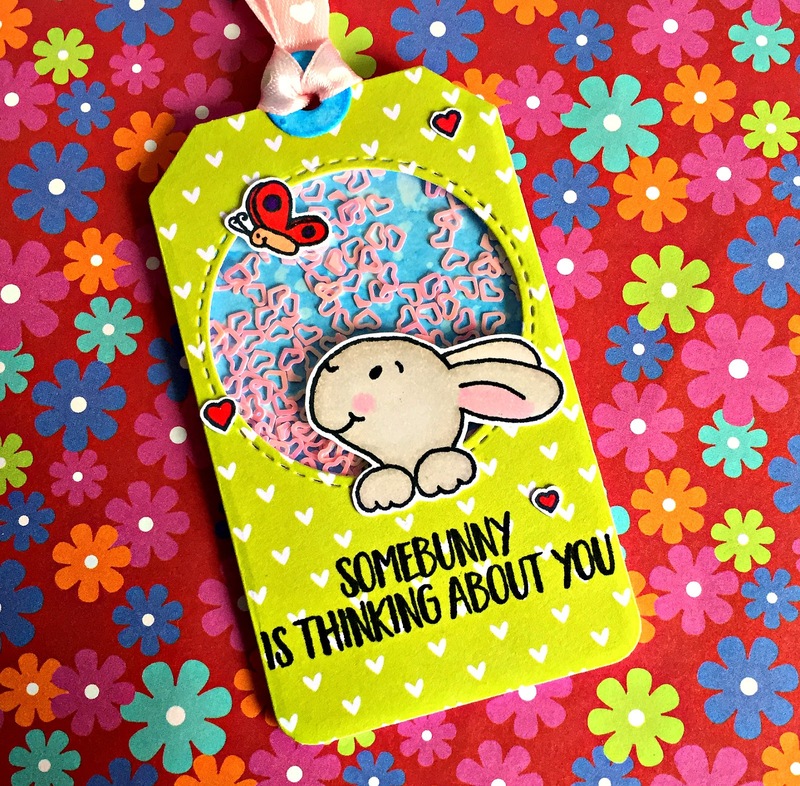 My second creation today is a wee Easter Basket and gift tag. I thought with the bunnies it would be perfect for that chocolatey time of the year!!! Also a lovely excuse to eat some goodies!!! 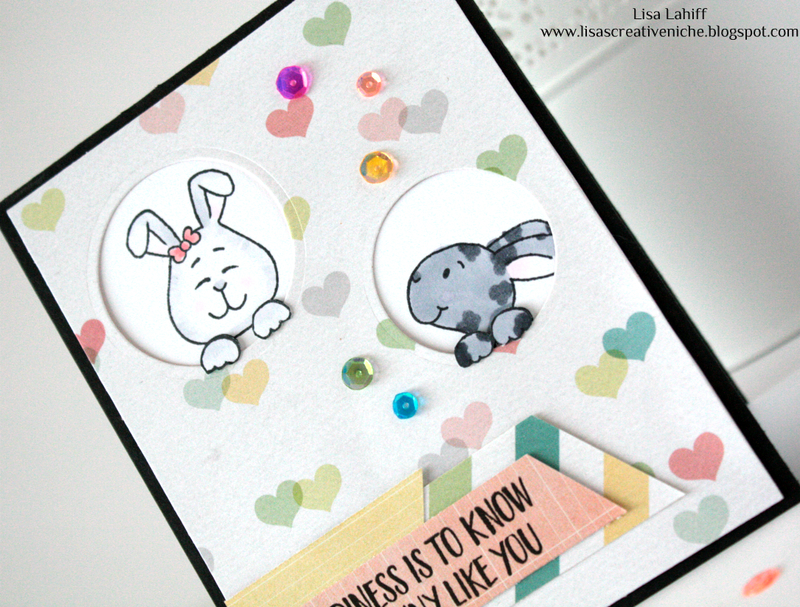 Items used here are the Bunny and the Sentiment Stamp. More information on how I made both my creations can be found on my blog, Didos Designs. 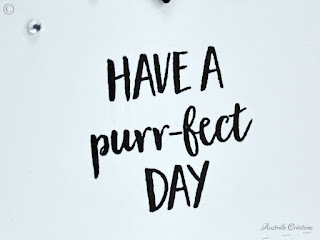 Thank You for Visiting today, I would like to say a HUGE Thanks before I go to Gerda and Macy for letting me play with their lovely creations, Ive had a blast being one of the February Guests. To create this card I started by stamping the fence several times along the bottom of my panel. I then colored this and the grass in with various Copic® Markers. Next I stamped the critters onto a separate piece of card stock, colored them in and cut them out. Before adding them along the fence line I went over the top part of the panel with distress ink and stamped my sentiment. Once the critters were adhered on I added some flower sequins. Thanks so much for stopping by, and don't forget to check this and other cute sets now available in the store! 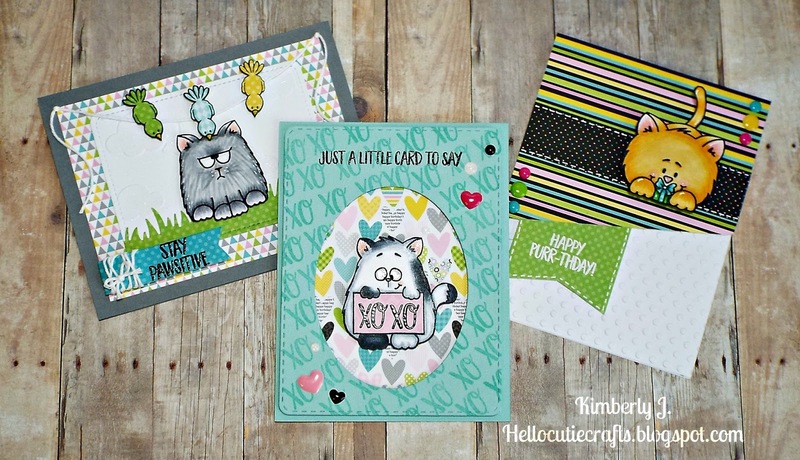 I'm Kimberly from Kimberly's Crafty Spot here today to share a few cards as a Guest Designer. I made two more cards using the All Cats stamp set. The first card is a Valentine's/Love card. The XO sentiment from the set inspired me. The cute cat is stamped and colored with copic markers to look like a white cat with black spots. 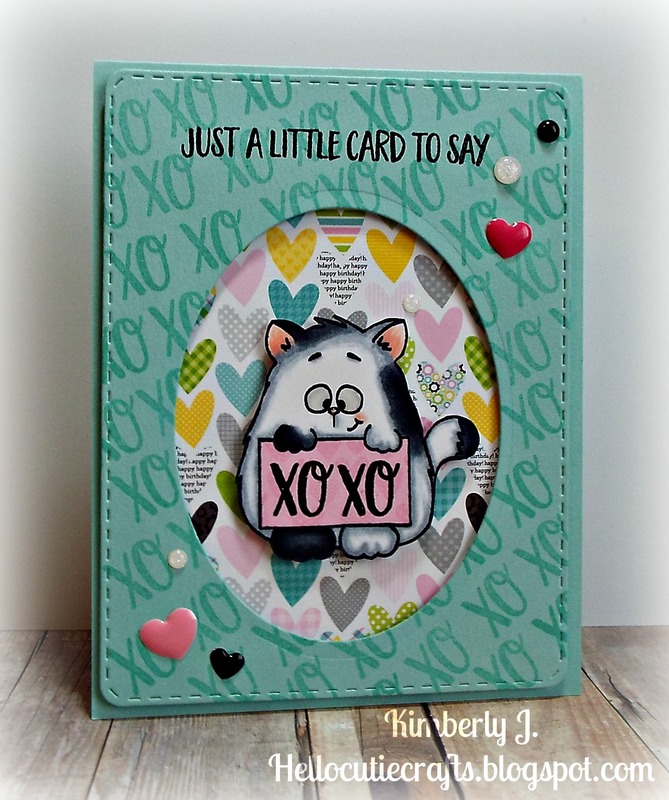 "Just a little card to say" in black ink and then added some clear embossing powder. I finished the card with some heart and round enamel dots. 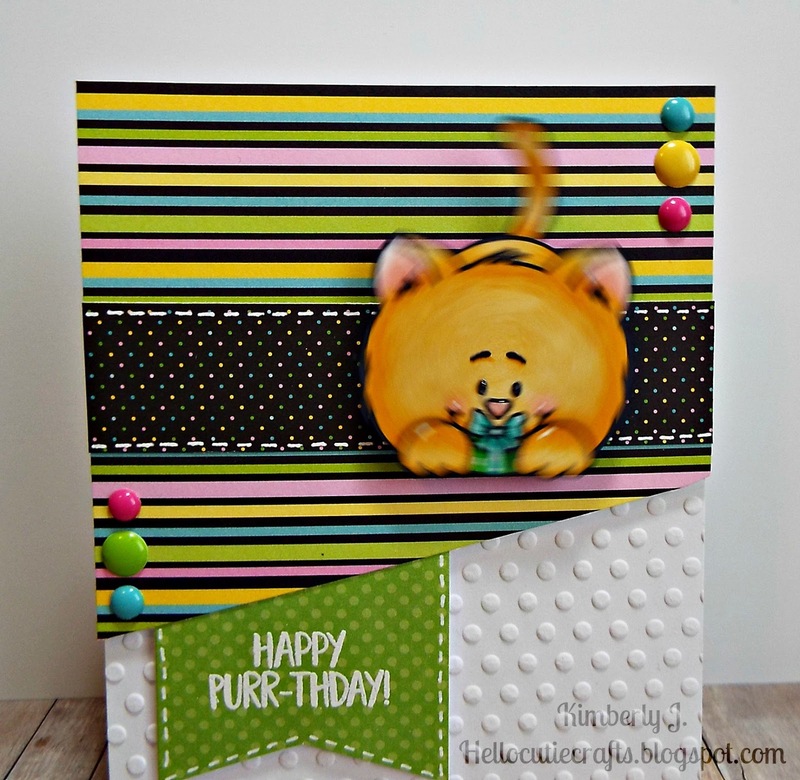 For the second card, I used a card sketch and the "Happy Purr-Thday" as inspiration. The cat is again stamped in black and copic colored to be an orange tabby cat. 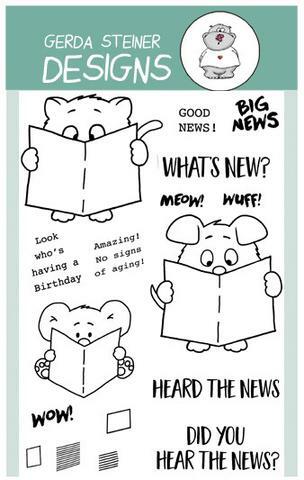 I cut the papers according to the sketch and added a dry embossed polka dotted background. The "Happy Purr-Thday!" sentiment is stamped and heat embossed in white, then I added some white gel pen faux stitching. I finished the card with some stitched edges, glossy accents to the eyes and nose and matching enamel dots. I added an action wobble to this cat and it's just so fun for a birthday card!! This is the cat in action, he looks like he is ready to pounce! These are all three of the cards together that I made as a Guest Designer using the All Cats stamp set. For list of supplies, please visit my blog. 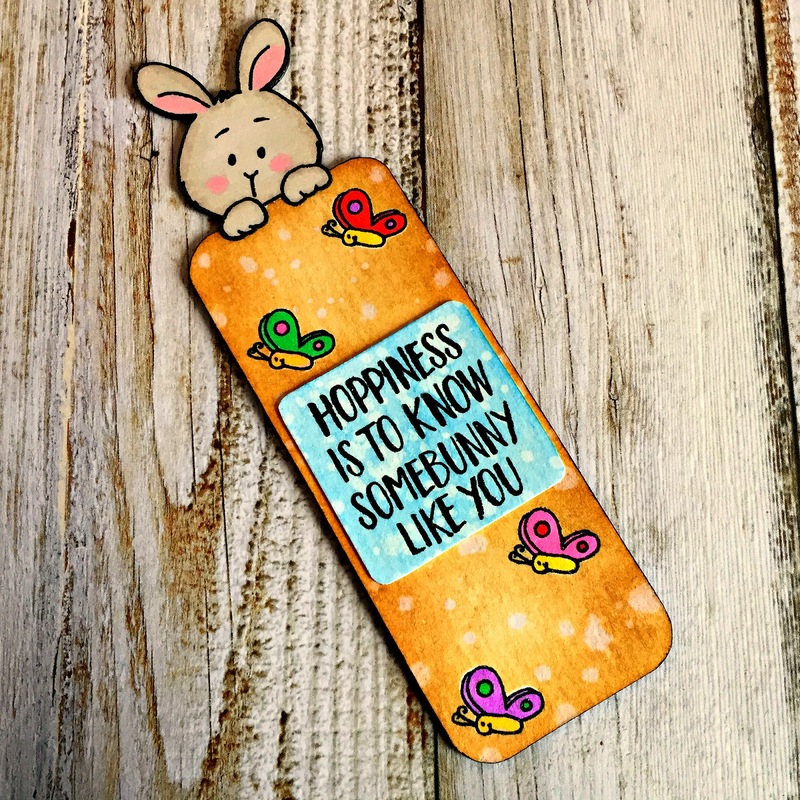 to use your adorable stamps and to share some projects with them.